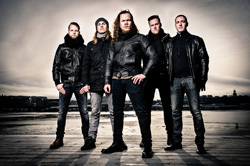 Prior to releasing their debut album, From Ashes to Fire, Sweden's Saffire had cut three demos. Reflecting on these, the band thought they had enough material for a strong full-length work. Well, friends, it appears they did, and maybe some more, as this recording has 13 songs with over an hour of music. It's good stuff, too, an entertaining blend of classic melodic hard rock with a metal edge. The songs are well-crafted and varied, depending upon a strong rock groove, melodies, and hooks in both lyrics and arrangements to propel them. Several good examples of this come with Magnolia, Freedom Call, and The Betrayer's Fate. The latter two are also examples of the fine placement of keyboards occurring in all the songs. 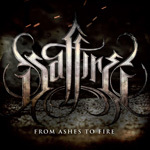 Saffire easily blurs the line between hard rock and metal, certainly with heavier songs like Kingdom of the Blind, A Symphony Unheard, and Paralyzed. 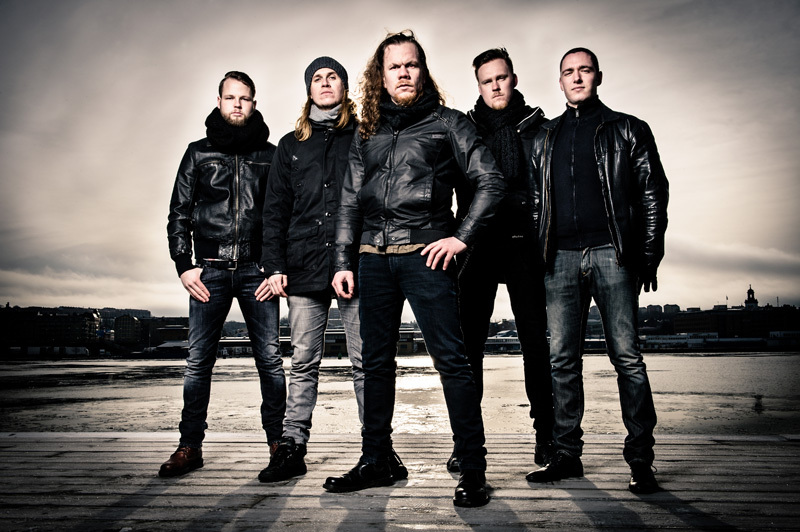 But their metal is never oppressive or harsh, always relying on good melodies to move them. Two anthems or ballads are thrown with What If and She Remains a Mystery, which has some delicate piano work and an impressive guitar solo (which are good throughout). As a whole From Ashes to Fire is a strong album, although a song like End of the World trudges along in an uninspiring way. Perhaps the album's best asset is that you get a lot of good music for your money. How many band's cut an album at over sixty minutes with a consistent interesting and entertaining performance? You know the answer to that already. Saffire's From Ashes to Fire is easily recommended. Saffire's From Ashes to Fire is strong album of melodic hard rock with a metal edge, propelled by creative songwriting and solid musicianship.